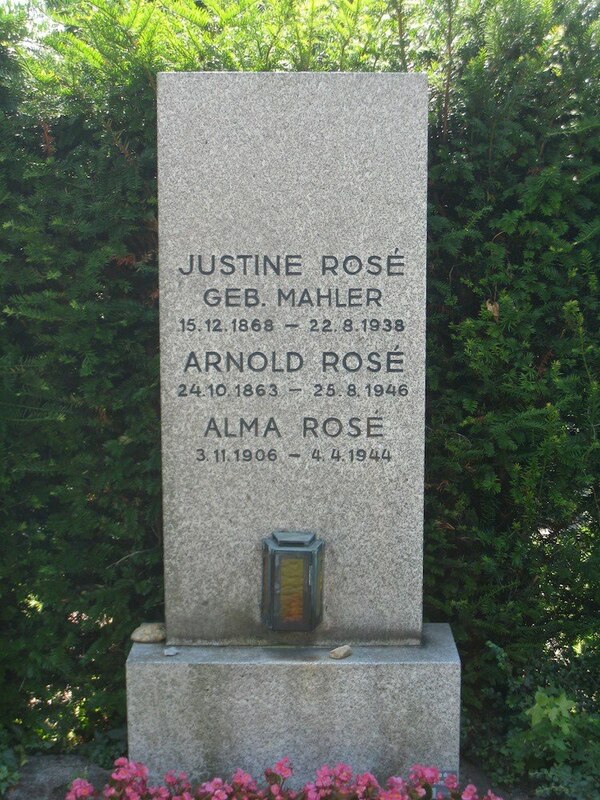 Arnold and Justine Rosé’s grave in the Grinzinger Friedhof in Vienna with a memorial to their daughter Alma. She was also a violinist and sometimes performed with her father in Bach’s Double Violin Concerto. Alma was arrested in 1938, interned in Drancy and then deported to Auschwitz, where she was killed in 1944.